The world is facing the largest displacement crisis since WWII as a number of humanitarian emergencies rage on. Grant Gordon and Ravi Gurumurthy from the International Rescue Committee (IRC) have in-depth conversations with leading humanitarians, foreign policymakers, and innovators to understand how they think about, and tackle these global crises. Produced by the Vox Media Podcast Network. <a href="http://www.glennagordon.com/">Glenna Gordon is a documentary photographer</a> and photojournalist. She's been commissioned by the New York Times Magazine, Time Magazine, The Wall Street Journal, and other outlets. She’s photographed a range of subjects, from Muslim women writing romance novels in Boko Haram territory in Northern Nigeria to the American women of the alt-right.&nbsp;<br><br>She’s also Grant Gordon’s older sister. This week, Grant interviews Glenna about her work in Nigeria, her current project documenting the alt-right, and the danger of a single narrative. The cruel irony of climate change is that it disproportionately impacts those who have contributed least to global warming—the world’s poorest and most marginalized groups. <br><br>For Mary Robinson—former UN High Commissioner for Human Rights, president of the <a href="https://www.mrfcj.org/"><strong>Mary Robinson Foundation–Climate Justice</strong></a><strong>, </strong>and the former, first female President of Ireland—rectifying these injustices is an essential part of the international effort to address climate change. This week, Ravi and Mary Robinson discuss the links between climate change-related displacement, human rights, and global equality.<br><br>Displaced is a production by the International Rescue Committee and Vox Media. You can read more about this episode in <a href="https://www.rescue.org/displaced">our show notes.</a><br><br>Join our conversation about climate change by tweeting your thoughts to <a href="https://twitter.com/grantmgordon?lang=en">@grantmgordon</a> and <a href="https://twitter.com/rgurumurthy?lang=en">@rgurumurthy</a>. Make sure you include the hashtag #DisplacedPodcast! Although cross-border displacement affects local communities, international efforts to address it typically take place at the highest levels. How can affected communities make their voices heard in these intergovernmental negotiations?<br>This week, Ravi and Grant sit down with Walter Kaelin, Envoy of the Chair at the Platform on Disaster Displacement and former Representative of the UN Secretary-General on the Human Rights of Internally Displaced Persons. Kaelin has been at the forefront of these intergovernmental processes, and he discusses how they've sometimes generated solutions - and sometimes been detached from them. <br><br>Displaced is a production by the International Rescue Committee and Vox Media. You can read more about this episode in <a href="https://www.rescue.org/displaced">our show notes.</a><br><br>Join our conversation about climate change by tweeting your thoughts to <a href="https://twitter.com/grantmgordon?lang=en">@grantmgordon</a> and <a href="https://twitter.com/rgurumurthy?lang=en">@rgurumurthy</a>. Make sure you include the hashtag #DisplacedPodcast! In January 2019, Minnesota Rep. Ilhan Omar became the first ever Somali-American member of Congress. Rep. Omar was resettled in the U.S. as a teenager, and since then has watched the topic of resettlement become increasingly polarized in U.S. politics. This week, Grant and Ravi interview Rep. Omar about her personal experience resettling in the U.S., and what needs to change in the U.S. system.<br><br>Displaced is a production by the International Rescue Committee and Vox Media. You can read more about this episode in <a href="https://www.rescue.org/displaced">our show notes.</a><br><br>Join our conversation about refugee resettlement by tweeting your thoughts to <a href="https://twitter.com/grantmgordon?lang=en">@grantmgordon</a> and <a href="https://twitter.com/rgurumurthy?lang=en">@rgurumurthy</a>. Make sure you include the hashtag #DisplacedPodcast! Imagine a world where every refugee who needs to be resettled receives that opportunity. What would it take? <br><br>Today there are 1.4 million refugees who have no chance of returning to their homes or integrating into their countries of first asylum. For them, resettlement is the only option. But that option is under threat around the world - in 2019, U.S. refugee admissions alone are at a historic low due to a cap set by the Trump administration. <br><br>In the first episode of a new series on global resettlement, Grant and Ravi talk to Dr. Jeremy Weinstein, Senior Fellow at the Freeman Spogli Institute for International Studies and Professor of Political Science at Stanford. He gives us an overview of the U.S. resettlement model and shares his research on how data and machine learning can reform the system. <br><br>Displaced is a production by the International Rescue Committee and Vox Media. You can read more about this episode in <a href="https://www.rescue.org/displaced">our show notes.</a><br><br>Join our conversation about refugee resettlement by tweeting your thoughts to <a href="https://twitter.com/grantmgordon?lang=en">@grantmgordon</a> and <a href="https://twitter.com/rgurumurthy?lang=en">@rgurumurthy</a>. Make sure you include the hashtag #DisplacedPodcast! In October 2015, US airstrikes destroyed a trauma hospital in Kunduz, Afghanistan, operated by Médecins Sans Frontières. 42 people were killed. Following the attack, MSF International President Dr. Joanne Liu testified before the UN Security Council and captured the attention of an international audience.<br>In the final episode of our series examining the future of war, Grant and Ravi welcome Dr. Joanne Liu to <em>Displaced</em> to discuss the attack, how the conduct of war is changing, and why civilians and humanitarians are increasingly the targets of conflict.<br><em>Displaced</em> is a production by the International Rescue Committee and Vox Media. You can read more about this episode in <a href="https://www.rescue.org/displaced">our show notes. </a><br>Catch up on our Future of War series: hear about <a href="https://www.rescue.org/displaced-season-2-future-war/robert-malley-three-conflicts-watch-year">the top conflicts to watch in 2019</a>, how <a href="https://www.rescue.org/displaced-season-2/future-war-autonomous-weapons-ai-and-cyberwarfare">technology is changing war</a>, and the <a href="https://www.rescue.org/displaced-season-2/future-war-documenting-human-rights-violations-yemen">challenge of documenting human rights violations in Yemen</a>. Pulitzer prize-winning author Viet Thanh Nguyen is the guest on this episode of Displaced, and talks to Grant and Ravi about his background, and the traumatic experience of being separated from his parents when he was 4 years old. He goes on to talk about the role of trauma in shaping the lives of refugees, and how that has informed his own work. They discuss the label 'refugee', and the place of refugees in America in this current moment. This is the last episode of Displaced in season 1. Check out our previous episodes here in the show notes: www.rescue.org/displaced. Get in touch with the show via email: displaced@rescue.org Support the show by leaving us a review, and subscribe to Displaced for new content in your feed when Season 2 is released in January. Education in low- and middle-income countries is becoming increasingly private: as many as one in four young Africans could be enrolled in some form of private education by 2021. Paul Skidmore is CEO of the Rising Academies Network, which is part of this sea change in education, and which started its first school in Sierra Leone in the height of the Ebola outbreak in 2014. In this conversation, Skidmore discusses how he built his network of schools, the lessons he's learned, and why the conversation about private education versus public is missing a major point. No conversation about social impact is complete without an understanding of randomized control trials, or RCTs. In this episode, we delve into what they are and how they measure impact with Rachel Glennerster, the new chief economist at the Department for International Development (DFID) in the UK. In an episode recorded in London, Glennerster gives her insights on the randomization movement, and also talks about the divide between academics and policy makers, and why it’s important that they find ways to work together better. Displaced is produced by the Vox Media Podcast Network in partnership with the International Rescue Committee. Find our show notes here: www.rescue.org/displaced. Rate and review the show, or email us at displaced@rescue.org. Chris Elias is the president of the Bill &amp; Melinda Gates Foundation’s Global Development Program, which spends $4 billion a year on health and poverty programs. With great power comes great responsibility, and a set of tough decisions on which of the world's many crucial health problems they can strategically invest in. In this conversation, Chris talks about how they make these decisions, assess and take on risk, and work with the private sector to generate breakthrough health solutions for the world’s poor. Displaced is produced by the Vox Media Podcast Network in partnership with the International Rescue Committee. For more on the show and show notes, go to https://www.rescue.org/displaced, or email the show at displaced@rescue.org. Jan Egeland is one of the world’s most experienced peace negotiators, having worked on the Israeli-Palestinian Oslo Peace Accords, as well as mediation efforts in South Sudan, Uganda, Guatemala, and now in Syria. He is currently the Secretary General of the Norwegian Refugee Council, one of the largest humanitarian organizations in the world. This is the episode to listen to if you want to understand how to broker a peace deal. They unravel the complex questions of who to invite to the negotiating table, how to negotiate once you have them at the table to get to a solution, and when pursuing negotiations doesn’t make sense. Displaced is produced by the Vox Media Podcast Network in partnership with the International Rescue Committee. For more on the show and show notes, go to https://www.rescue.org/displaced, or email the show on displaced@rescue.org. This episode is a taping from a live recording at Devex World in Washington DC, where Grant and Ravi talked to Kanika Bahl, CEO of Evidence Action. 'This interview gets into the nuts and bolts of how to innovative in aid, how to take solutions developed in one place to new contexts, and how to scale them to many contexts while maintaining quality. They discuss the perils and promises of how lessons from the development sector apply to humanitarian contexts and what we should expect of innovation in the future. Displaced is produced by the Vox Media Podcast Network in partnership with the International Rescue Committee. For more on the show and show notes, go to https://www.rescue.org/displaced, or email the show on displaced@rescue.org. As a social entrepreneur and founder of Girls Who Code, Reshma Saujani is uniquely placed to talk about innovation - and the role of failure in that process. She talks to Ravi and Grant about creating ideas, taking them to scale, and the culture of ‘failing fast’, and what that looks like when you’re running a global non-profit. 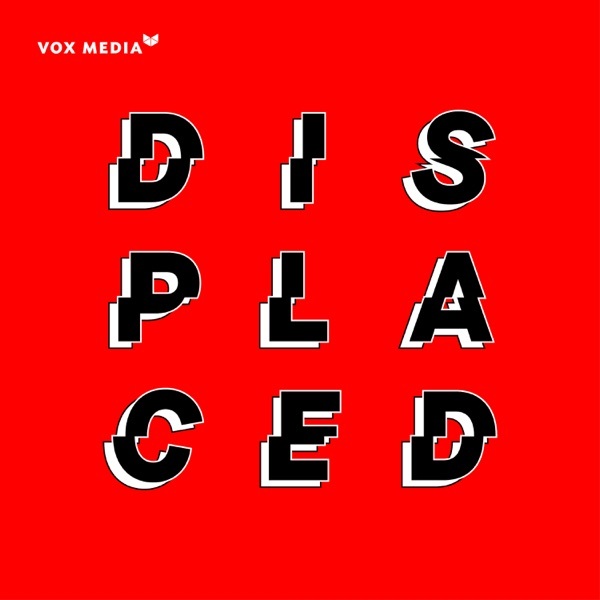 Displaced is produced by the Vox Media Podcast Network, in partnership with the International Rescue Committee. For more on the show: www.rescue.org/displaced. Email us at displaced@rescue.org. Bob Kitchen spends every day makings decisions on if - and how - to respond to rapid onset humanitarian emergencies globally. As the International Rescue Committee’s Director of Emergency Preparedness and Response, he directs the team at the IRC that deploys into crises within 72 hours to provide life saving assistance to those critically in need. These decisions are rife with complexity and in this episode, Bob, Ravi and Grant dive into the challenges of launching responses in places like Syria and Yemen. They also discuss how to think about deploying response teams to wealthy countries like Europe to the role of innovation in emergency settings. This is the episode to listen to in order to understand how major organizations launch emergency response. Displaced is produced by the Vox Media Podcast Network in partnership with the International Rescue Committee. For more on the show: rescue.org/displaced. The war in Afghanistan is the longest war in U.S. history and it has cost roughly 1 trillion dollars, left over 170,000 dead, and displaced another 4 million people. In this episode, we examine how to end wars through the lens of Afghanistan with Vali Nasr, the dean of the Johns Hopkins School of Advanced International Studies and former senior advisor to Special Representative for Afghanistan and Pakistan, Richard Holbrooke. Vali Nasr brings unique insight into how the conflict has played out, how the US foreign policy apparatus failed to effectively end this war, and what lessons there might be for ending war in Syria. This conversation not only provides an intellectual architecture for understanding conflict termination, but also explains the dynamics between Afghanistan, Pakistan and other regional actors. This is the conversation you should listen to if you want to understand what options there are for ending wars. “It’s not about a technology that we’re looking for something to do with, it’s about a problem that we’re trying to solve and and then thinking about how technology helps with it.” Carolyn Miles is CEO of Save the Children USA, and in this conversation she talks to Grant and Ravi about innovative solutions for helping children in crisis situations. She also talks about why women and girls are disproportionately affected by war and conflict, and the challenge of changing behaviors to adopt new solutions to old problems. Displaced is produced by the Vox Media Podcast Network in partnership with the International Rescue Committee. For more on the show: rescue.org/displaced. Dr. Helene Gayle has unparalleled experience in leading organizations that respond to crisis. Dr. Gayle spent over 20 years working on HIV/AIDS at the Center for Disease Control while also serving as the Chief of the HIV/AIDS Division for USAID, was the CEO for CARE International, led the McKinsey Social Initiative, and now serves as the head of the Chicago Community Trust. In this episode, Dr. Gayle shares lessons learned of how to lead, refine strategy, and focus. She reflects on the parallels between the HIV/AIDS crisis of 30 years ago and the refugee crisis of today, how to change the politics of toxic narratives, and how to make difficult decisions in the face of crisis. This interview covers a lot of ground and explores crucial organizational and political questions. Displaced is produced by the Vox Media Podcast Network in partnership with the International Rescue Committee. For more on the show: rescue.org/displaced. Over half of the 65 million people displaced right now are children, yet only 2% of total humanitarian spend is allocated to education during crises. Given that refugees are displaced for over 12 years means that entire generations often forgo education. In this episode, Grant and Ravi talk with Sarah Smith, the IRC’s Senior Director of Education, a leading expert in education in humanitarian settings. They discuss how to think about education in crisis settings, what models are promising for delivering education at scale, and explore frontier innovations in education - including the IRC’s new partnership with Sesame Street, which aims to bring muppets (and social change) to a generation of refugees and host communities in Syria, Jordan, Lebanon and Iraq. Mandy Patinkin (Saul Berenson for Homeland fans) talks to Ravi and Grant about why he works with the IRC to lend his voice to refugees. Mandy reflects on his travels to various refugee camps and talks passionately about the need for everyone to be involved in working for the well-being of refugees. In this interview, they get into the challenges of generating empathy, the moral obligations of those who can help, and what individuals can do to make a difference. The definition of a refugee - and how we think about the entire refugee system - needs to be changed, says Alex Aleinikoff, who was UN Deputy High Commissioner for Refugees from 2010-15. He talks to Ravi and Grant about why the definition matters, what it needs to expand to include, and how to build a humanitarian system that responds to the needs of the day. As the nature of conflict and displacement has changed, Alex brings a historical perspective to the discussion. They dive into the challenging and important issue of 'burden-sharing': how do we decide who takes on the responsibility for helping refugees? Enjoy their discussion and also check out Alex’s upcoming book, “The Arc of Protection: Towards a New International Refugee Regime. John Prendergast founded the Enough Project, which has worked with the likes of George Clooney and Ryan Gosling, to bring attention to complex humanitarian crises in Africa. In this episode, he talks with Ravi and Grant about his model of political change underpinning Enough, how to work with celebrities, and the lessons he has learned through his advocacy. They reflect on the root causes of conflict, the role of advocacy, and what activists should make of South Sudan. Stephen Hickey has a unique perspective: he was sent to Syria in 2010, as the UK's deputy ambassador to Damascus back when it was thought of as a "sleepy posting." The Assad regime kicked him out of the country a year later, as the protests intensified. Now, he's the political coordinator of the UK mission to the United Nations, and he talks to Ravi and Grant about how seven brutal years of war in Syria has created a humanitarian crisis on an immense scale. The discussion covers the roots of the conflict, how the West has responded and the potential danger of military action without a long-term diplomatic strategy. Former Secretary of State Madeleine Albright reflects on her experience as a refugee and how it has shaped her views on America's role in the refugee crisis (or lack thereof). In this interview, Ravi and Grant dive into Madeleine’s Albright’s views on how humanitarian intervention has evolved, her disappointment in Aung San Suu Kyi over the treatment of the Rohingya, and the role of art in this dark political moment.